I've been getting ready for Renegade SF this weekend and even though I've been doing shows for a couple years now, I never get tired of looking at other craft show displays! People just are so creative, I love it. I guess I'd say packaging & display are pretty high on my list of *loves*, what about you? 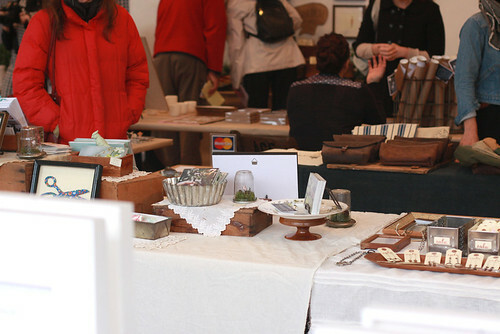 Anyway, if you're in SF this weekend, I hope you'll be able to stop by the craft show! 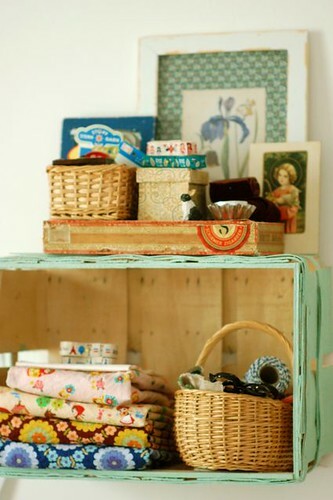 it'd be great if you have stationery or paper goods to display! Gorgeous displays! Love seeing all these different approaches. 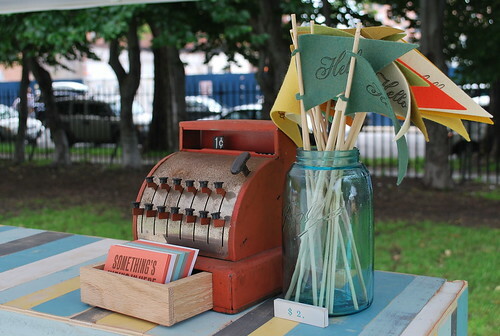 I'm pretty well set with what I use (more clean and modern) but I'm always drawn to the more rustic and vintage-inspired booths :) Have fun at Renegade! wow! This looks like so much fun and I love everything I see! Very cool displays. I love how each one evokes the essence of the makers and the products you'll find. Honestly, your display takes the cake. 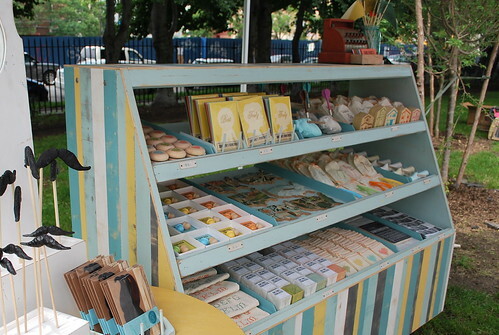 I always adore seeing how you set up shop! :) I always dream up what my display would look like if I were to do a show. Hopefully sometime within the next year I'll be able to find the time (and bravery) to do one! 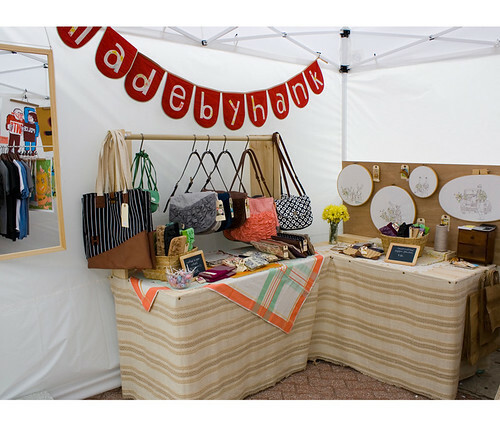 You'll be at Renegade LA again this year, right? If so, I really hope I can make it out! Love these! I am hoping to get into renegade Chicago this year so I am definitely loving your inspiration. i wish i was going to be in san fran this weekend!! good luck at the show! i'm sure your display will be killer as usual. I am in love with YOUR displays all the time! So wish to be near San Fran to go see the show! I will participate in my first craft show in a month and trying to get lots of displays ideas! Gorgeous! We're always looking for display inspiration...thanks for the link love :) Wish we were closer and could stop by your booth for a visit! I love to see all these little displays, they are so creative and inspiring! What is it about displays like this that get me all excited - stylish organisation is awesome! 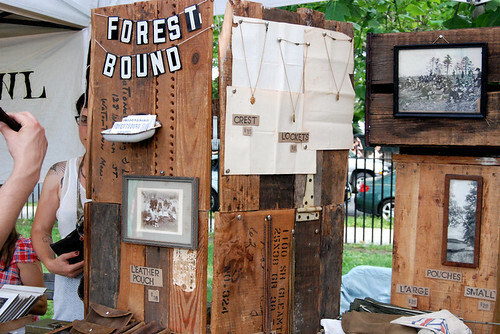 I love the trays in the "Park" photo, the cards strung on twine and the use of old shutters as a place to hang product. Great stuff! I love looking at the different displays at shows, some folks are just so creative! (and some folks need HELP!) Thanks for sharing! I'm so excited about Renegade! Can't wait to see your awesome display too! Such an amazing collection of inspiration! I love visual merchandising so much and their is something so magical about the develop of a display for a market or event, all that work for something which is only here for a few days, and then gone again, makes it even more special! Have an amazing time at Renegade, would love to travel all the way from Australia to visit one day! beautiful inspiration. wishing you all the best at renegade this weekend! hope you have a blast and everyone loves your work (i'm sure they will!). I found you in Somerset Life Magazine. Congrats on being featured. I loved your article and photos. such amazing displays. hope you had fun at renegade!